Well, well, well—this is certainly interesting. 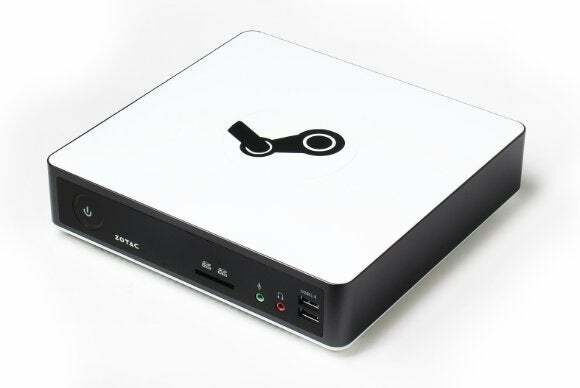 Following its big Steam Machine re-unveiling at GDC this week, Valve has gone ahead and inserted a hardware tab into the Steam store. Maybe these things really will ship in 2015. The iBuyPower SBX is the cheapest at $460.00, although the Alienware Steam Machine isn't far behind at $480. Pricing varies a lot though, with the Origin Omega and Falcon Northwest Tiki both topping out at $5,000 configs. Yes, you read that number right. 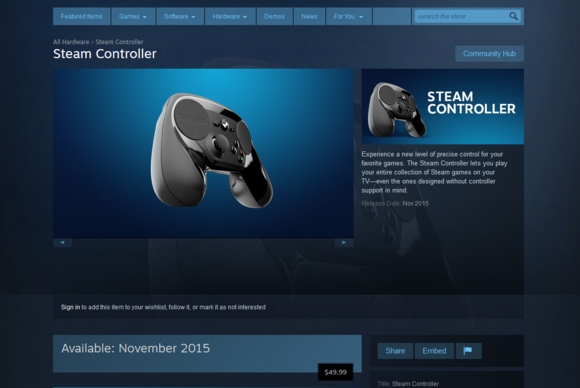 There are also separate store pages for the Steam Controller and Steam Link (impressions here). A glimpse at the Steam Controller in its new home. None of the devices are actually on sale yet, despite the store pages, price listings, and a release window of November 2015. You can, however, follow the page to get notified about updates/preorders or add any of the hardware to your wishlist. The one missing item: The HTC Vive, which is powered by Valve's new SteamVR technology. Considering it also is set for a Holiday 2015 release date I would've expected to see it in the store, though perhaps Valve is waiting until they have images of the final hardware instead of the prototype unit we saw earlier this week. 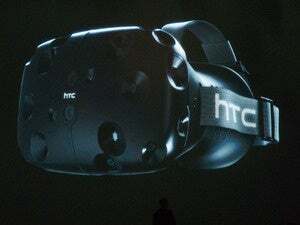 Or perhaps Valve's contract with HTC doesn't extend to selling the Vive.